Andrea Constand’s appearance is her second chance to confront Cosby in court, since his first trial ended without a verdict. This time, though, she’s facing a defense team intent on portraying her as a “con artist” who framed him for money. Constand, who turned 45 on Wednesday, says Cosby drugged and molested her at his suburban Philadelphia mansion in January 2004, when she was a women’s basketball administrator at his alma mater, Temple University. It’s the only allegation among dozens against Cosby that has led to criminal charges. He says the encounter was consensual, but paid $3.4 million in 2006 to settle a civil lawsuit Constand filed after the district attorney at the time dropped the case. Cosby lawyer Tom Mesereau told jurors in an opening statement on Tuesday that Constand was a pauper who stiffed roommates on bills, racked up big credit card debt and once ran a Ponzi scheme until she “hit the jackpot” when Cosby paid her. 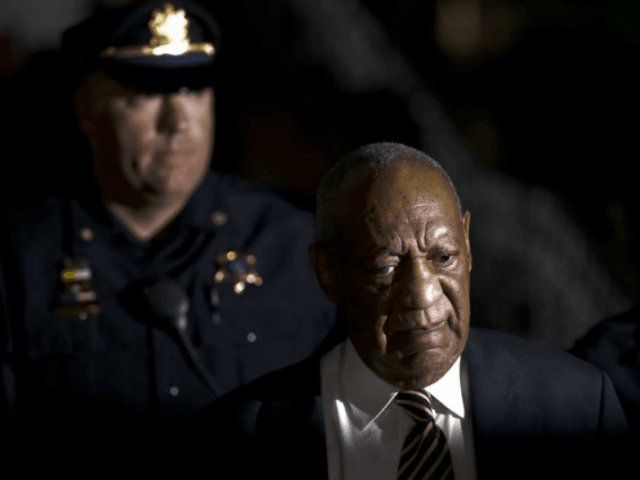 Cosby spokesman Andrew Wyatt on Thursday derided the five additional accusers who testified as “distractors” and “advocates for the prosecution and Andrea Constand.” Just one other accuser was permitted to take the stand at Cosby’s first trial. “Since this American citizen didn’t adhere to Ms. Allred’s ransom notice, she paraded in a stable of women to destroy his legacy, his career and reputation,” Wyatt said. Constand’s lawyer, Dolores Troiani, called the attacks on her client “outrageous” and “baseless,” and ripped Cosby’s team for trashing her reputation in the courtroom — where lawyers are immune from defamation lawsuits — and in statements to the media. The other women’s harrowing, sometimes tearful stories could help.